I don’t know about you, but when I tackle a home organization or cleaning project, things generally get worse before they get better. When I go to re-organize my office, or switch from summer clothes to winter duds in my closet, I invariably end up first destroying the space I’m tackling, and then putting it back together. I think I’m doing the same to my riding ! Things were better tonight, but still not back to normal. Physically, I was much more comfortable – I wasn’t as stiff and sore (I skipped working out today) but I did stay on for 45 minutes, and got some work done. The muscle endurance is still not there. I’m going to give the legs another day of rest tomorrow, and just do some easy cardio and a core workout. I’m more than a bit bothered by the fact that I can’t trot round for a few minutes without my legs burning. This too shall pass, I’m sure. Mads was hanging on the left rein something fierce, likely because I was doing the same. 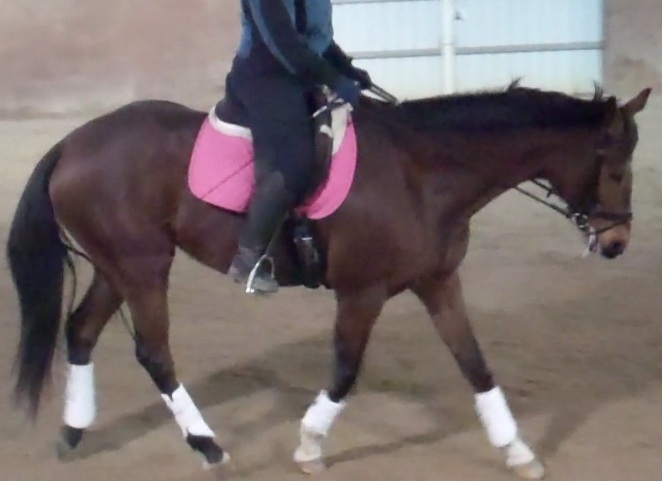 Christy had me work on turning left with a loopy left rein, meaning I had to be really active with my inside leg, and control the turn with my outside rein. 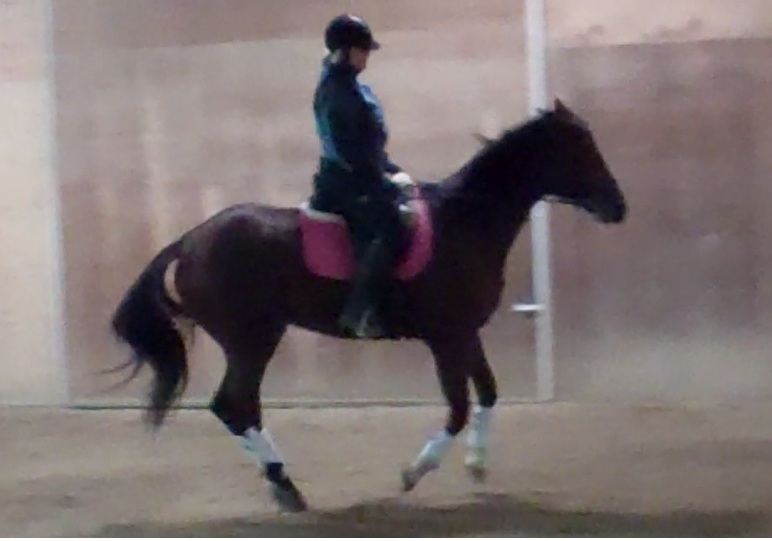 Obviously, I have not corrected the imbalance identified when I did the Eqisense analysis, and learned that I was placing a ton of pressure in that left rein, even though they felt even to me. Here’s the analysis feedback screen showing vastly uneven pressure in the reins, though I would have sworn to you on a stack of Bibles, hand to God, that I was holding them evenly. It took a while before the light bulb flicked on in both my head, and Maddie’s. We waddled drunkenly around, narrowly missing walls. 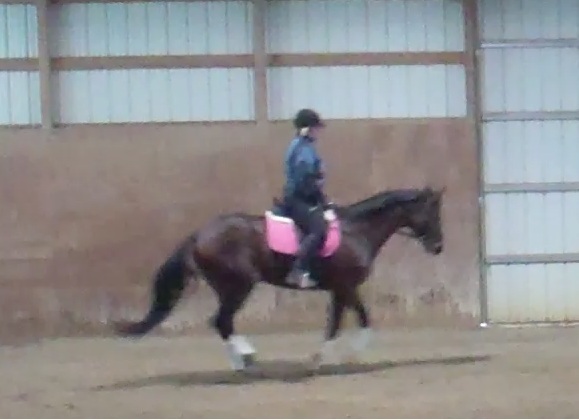 Things improved when I used my outside leg as a correction, to prevent the mare from turning right. And I used the inside rein slightly, to keep her looking left. Christy had me release contact in the left rein after I softened Mads to the left, and got the desired response: a good left bend, with nice contact into the outside rein. I presume dropping the rein had two purposes, or maybe even three. First, it was an immediate and clear reward to Maddie when she did the right thing. Secondly, it removed the mare’s ability to hang on that rein. And finally, it started to reinforce the habit and feel of lighter contact for me in that left rein. 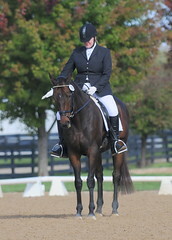 We ended the ride by shuffling around at a halting trot with no stirrups. I’m riding hesitantly without my stirrups, because I’m afraid of getting going, and having them bang into Maddie’s sides, and evoking a spirited response. I’m going to either relinquish them entirely next week (though, for the record, Christy has promised to give them back to me) or at least loop them over the pommel – if the edges of my cheese-grater pads won’t hurt horse or rider. Family is visiting this weekend. I’m taking a two-day hiatus, and hope to be back in the saddle on Sunday.